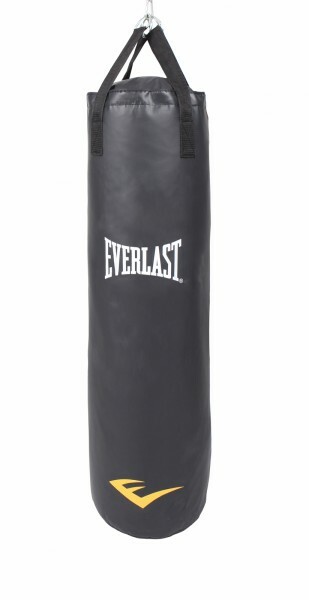 The Everlast punching bag Powerstrike is ideal for the training of punch varieties and kick combinations of all martial arts, i. e., kickboxing or karate. Beginners and leisure boxers will enjoy it. The Powerstrike is made of vinyl synthetic leather, which is known for its extreme sturdiness and durability. It is filled with shredded textile fibres, which affect an optimal punch absorption and ensure that the Everlast punching bag keeps its shape even with intensive punches and kicks. Everlast punching bag Powerstrike 84 add to comparison list.